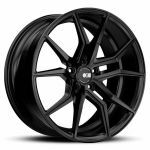 XO Wheels has taken the industry by storm with their vast selection, and attention to finest of details to produce what rim enthusiasts truly want. From their aggressive concave designs to the highest quality finishes, XO Wheels are a force to be reckoned with. Matte Black Wheels, Silver Brushed Wheels, XO has it all. Check out some of their most popular styles like the XO Verona and their Flow Formed XF-1 Wheel. Element Wheels offers the lowest prices and widest selection of XO Wheels, all with Free Shipping in the US 48 States. Wheels are unconditionally warranted for a period of one year from the date stamped on the product against defects of materials or workmanship such as peeling, flaking, or blistering of chrome plating. This warranty does not cover corrosion or any type of discoloration due to the use of chemicals, detergents, polishing compounds, or coarse abrasives during cleaning. Automatic car washes are not recommended.